How do I retrieve an archived class? 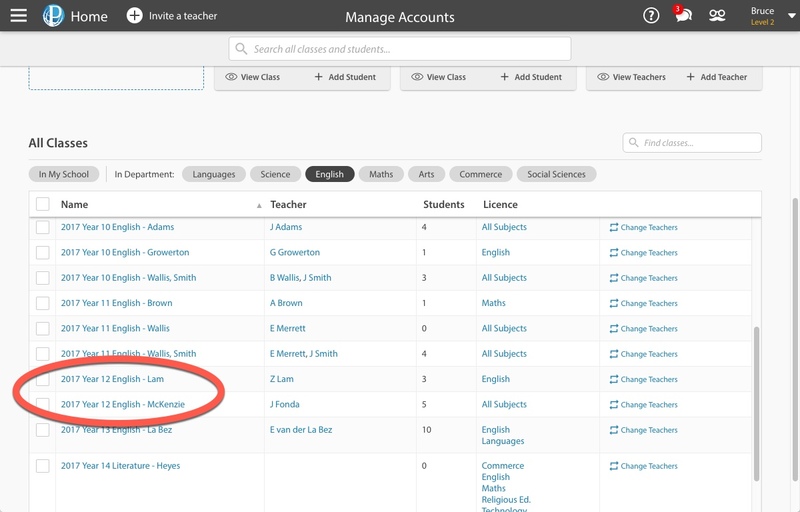 At the start of a new academic year, once your classes have been updated, your class lists from the previous year will be archived to be replaced with these new classes. Archiving a class preserves everything about the class at the time it was archived - including who was in the class, the tasks and assessments assigned to it, and more. 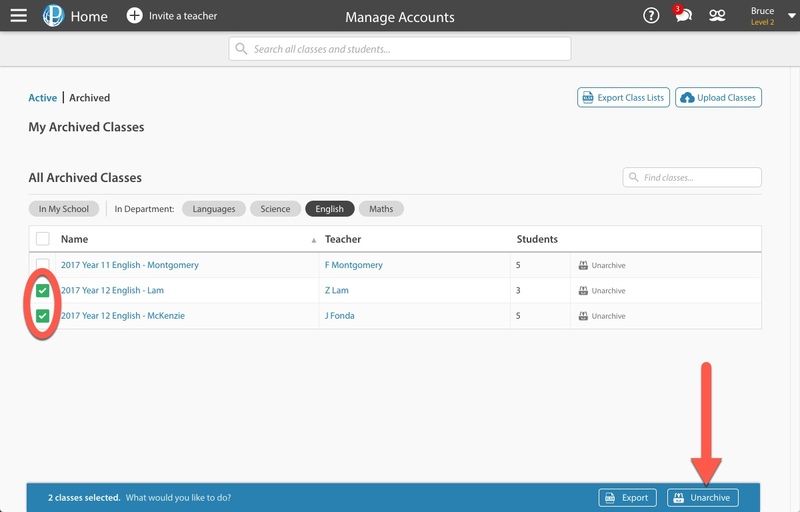 You can restore these classes if you want them to be set up again through the Manage Accounts tab. 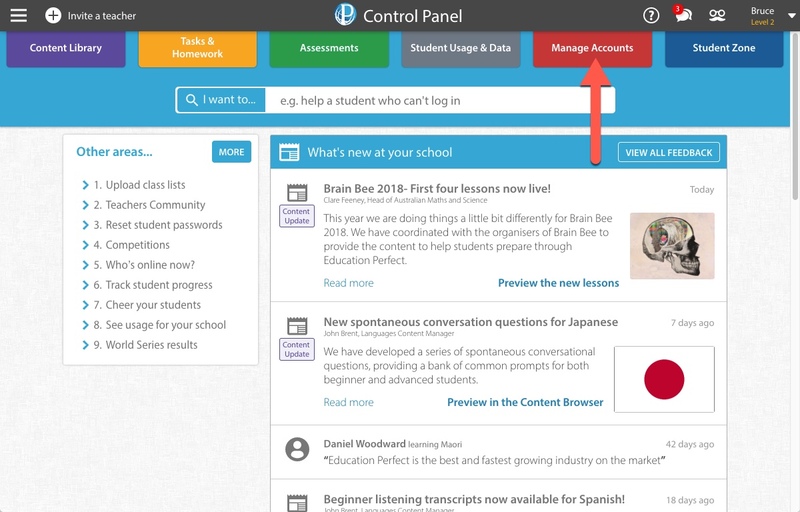 From Archived, you can view all of the inactive classes at your school. 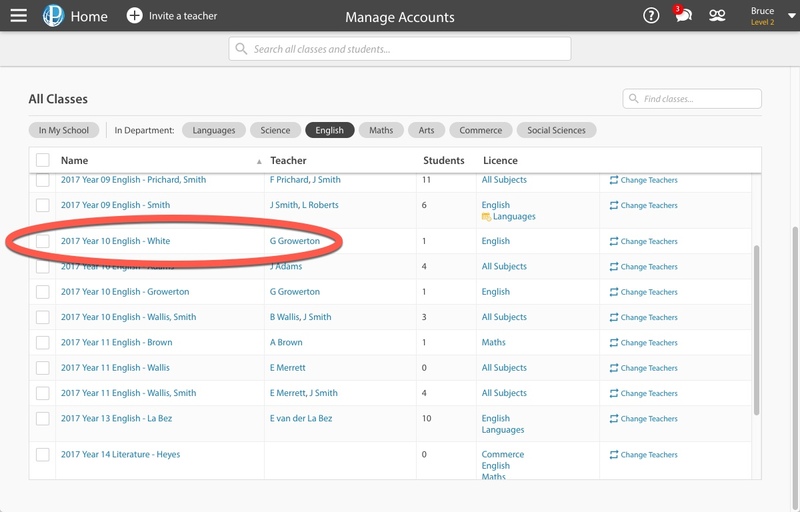 As with the Active classes, you can filter the archived classes by department. 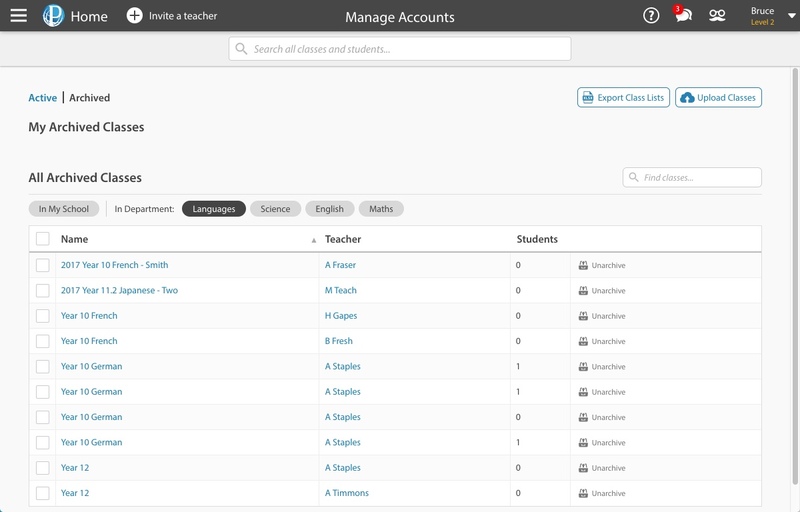 To quickly restore a single class, simply select Unarchive and the class will be returned to the Active tab. 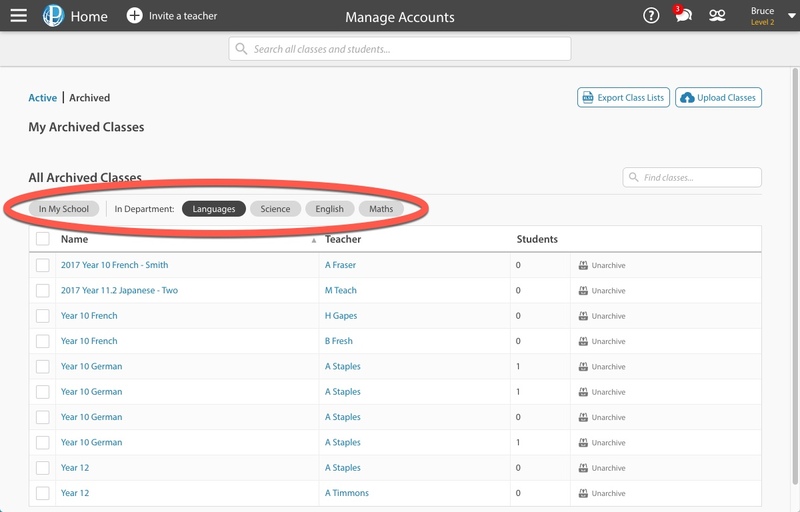 To restore multiple classes at once, simply tick the classes you want reactivated, and select Unarchive. This restores classes to be found in the Active tab.